Before your read today’s Workout Wednesday post, I want to be clear. 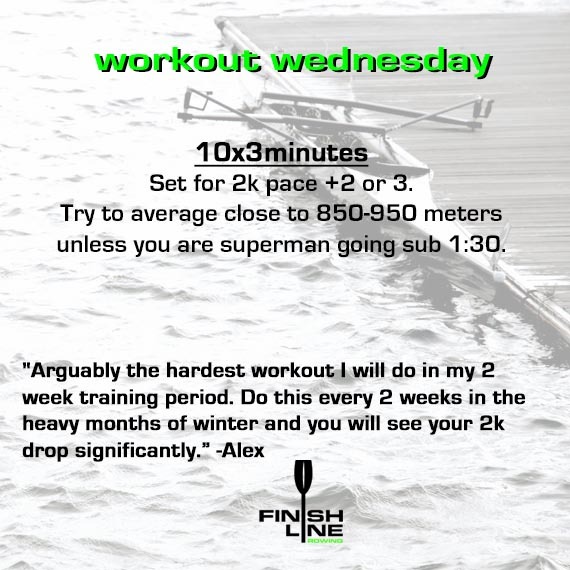 Finish Line owner, Alex Del Sordo, is a rowing maniac. About 6 minutes later, I had 4 of his favorite workouts in my email. This is the first of many you will see from him.